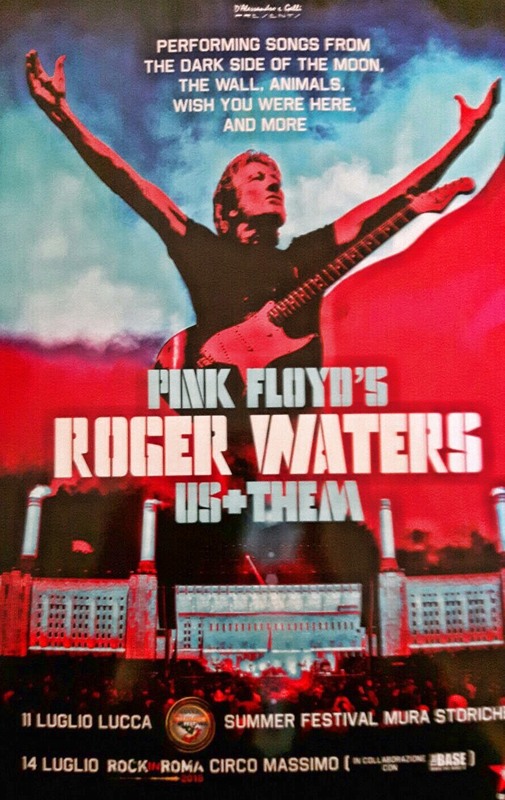 Two more dates have been announced for the Roger Waters 2018 Australian/New Zealand/European Us + Them tour, for shows with a slight difference to the majority. The shows are presenting the special outdoor version of Us + Them tour; this means that Europe will have three of these special concerts with the London date at Hyde Park already revealed. The show presentation has so far only been staged in Mexico City and at the historic Desert Trip Festival last year. Alongside Hyde Park, this incredible show will also be hosted in Lucca and Rome: the Historical Walls in the Tuscan city and the Circus Maximus in the Capital. The Lucca show is part of the Lucca Summer Festival, and will see Roger return to a venue he last played at in 2006. This time there is due to be a significantly larger audience - 45,000 - around four times the audience for the previous show. The second Italian date will take place in the fascinating, historic scenery of Rome's Circus Maximus, where David Gilmour performed in 2016 during his Rattle That Lock tour. Tickets will cost from 80 to 110 euros (for the Pit area). The pre-sales will start, for everyone, on Thursday, December 14th at 7am CET, on the sites of Ticketone.it and D'Alessandro & Galli, and from Friday, December 15th at 11am in all authorized sales points. First though, next Monday, 11th December, there will be a presale with Virgin Radio, sponsor of the concert, from 9 am. Just register on virginradio.it to receive the presale code that will make it possible to purchase the ticket on Ticketone. Using our links also helps toward the ongoing running costs of this site, and is appreciated!